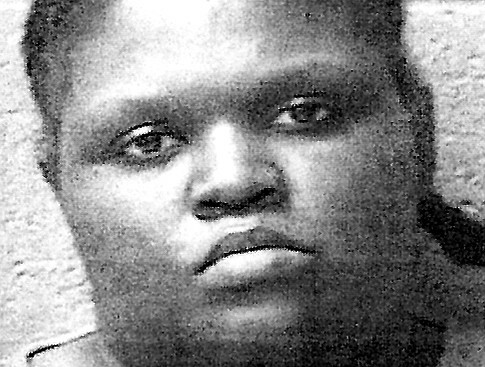 Last week, Shaquan Duley suffocated her 2 and 1 year old sons in a motel room, strapped them into their car seats, drove 10 miles away and back the car into a river with their lifeless bodies still inside. Today, she sits in jail on murder charges. For most people familiar with the story, it seems an open and shut case. She’s been called a “fat piece of trash” who should be “hung from the nearest branch”. She’s a cruel, heartless monster. She has to be, after all, right? I mean, how could a mother look down at her two children and willfully smother them? The truth is, it’s easier than most people realize or want to admit. There is a dark side to motherhood that nobody ever talks about. There is a reason that women are given 1-800 hotline numbers routing them to a crisis center in their discharge papers after delivering a baby. People were never meant to raise human beings alone, and caring for a perfect stranger (which is what your baby is) can be a daunting task. Some women love their children immediately they exit the womb; most have to grow to love them. ‘Single mother’ is not a title most women ascribe to – it’s an unfortunate situation that many find themselves in. Consciously making the decision to be a single mother is the career equivalent of running full tilt off a cliff in the Grand Canyon…every day. Raising and caring for children is truly the hardest thing one will ever do. It’s mentally taxing, physically exhausting, and spiritually draining. As a stay at home mom, I can say with honesty that I would rather spend my weekdays on tour in Iraq than contend with my four children. I, like other moms, am rewarded with 2 things: the moments of joy that motherhood brings, and the knowledge that my children will eventually have to leave my house. If you ask a woman who is honest, she will confess one of two things. She either knows someone who has thought of hurting her kids, or has thought of hurting her own herself. The overwhelming majority OF COURSE do not, which is why Duley’s case seems so abominable. Though you may have the urge to wring little Junior’s neck, your “mom bone” (the organ that stores your unconditional love for your child) keeps you from doing it. I have a cousin who told me that she was so depressed after her son was born, she thought about smothering him with a pillow in his crib as he slept. I heard a stranger say she has contemplated taking her kids to the mall and walking away. I myself have been driving and looked longingly at the side of a brick wall or a ditch and envisioned myself crashing my vehicle into either one, consuming us all in a fiery inferno. Some days, it just gets to you. And like most women raising children in America today, Shaquan Duley did not have much help. We don’t live in Mayberry anymore. What she DID have was a nagging, overbearing mother, drilling her about being “more responsible” for her kids. No one needs a harpie re-emphasizing the obvious. Having recently lost her job, I’m sure Duley was very much aware that she unemployed and single. Combined with the noise of her 2 small children, I can only imagine that her mother’s utterances (no matter how ‘well intentioned’) could not have been very soothing. If you poke a person long enough, eventually they will snap. From what I read, Duley was an oak tree; strong, steadfast, accommodating to a fault, a little too rigid and a little too self reliant. But to survive motherhood, you have to be a willow – You have to bend when the storms of life come your way so that you WON’T snap.You have to ask for help, and keep asking till it comes. In hindsight, many people in her town and those closest to her now opine and say they would have helped her with her kids if only she had asked. Really? Think about how many times you, dear reader, have asked a friend for something as simple as a ride only to be given the run around? Everybody knows a single mother needs help. It’s not rocket science. Shoot, I have a spouse and I still don’t see how I’m going to make it through the day. The wages of motherhood is death, and those wages are taken in the form of the passing away of a woman’s former life. For Duley, it seemed she sadly tried to resurrect that life by taking those of her poor two sons. I don’t excuse Shaquan Duley for what she did. It was horrific, and it was wrong. She is distraught over it, just as Susan Smith is, I’m sure. What I don’t do is rush to judge her. She is not the pillar of strength society would have all mothers to be. She gave in to a moment of weakness, and now she must pay for her actions. When I was a child, I once saw a mother hen peck her newborn hatch-ling to death. It was born feeble and probably would never made it past 3 days on its on anyway. My grandmother helped me understand that animals kill their offspring if they are born flawed and cannot care for themselves in the long run. Basically, defective young make the job of parenting too hard. Of all life forms on Earth, human babies have the longest time frame of dependency on their parents. Cases like Duley’s force us to ask ourselves how much higher than animals we truly are. PS: Do something nice for a mother today, whether she appears to be struggling or not. She’ll never say it, but she needs some help.